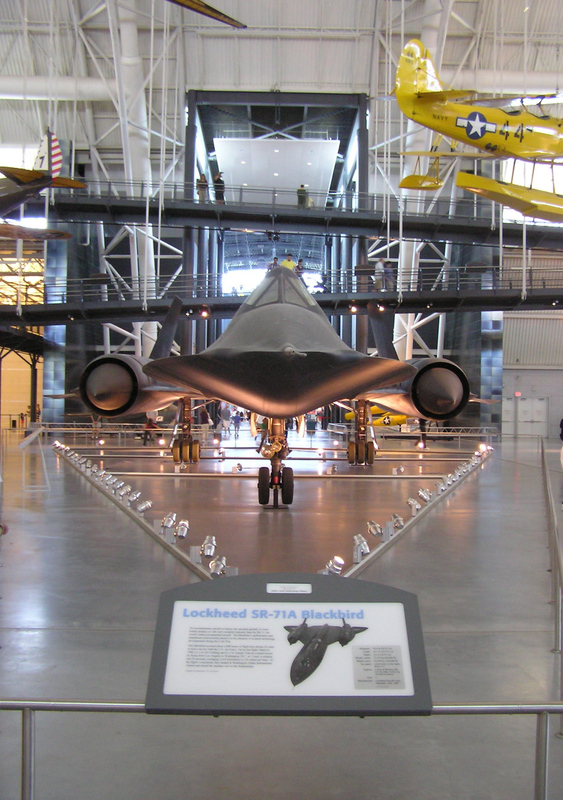 The SR71 was a supersonic spy plane that had some "stealth" characteristics. 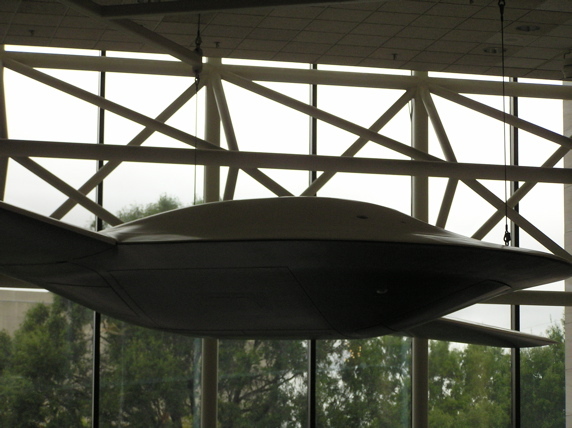 Like the B-2 bomber and other stealth planes, it looks somewhat "saucer" like in its cross section. Hidden in plane sight. The UFO movement was a creation of science fiction publications and military intelligence, the latter has been more influential since World War II. It's partly to cover up their spyplanes, it's partly a social conditioning project (formerly called psychological warfare). 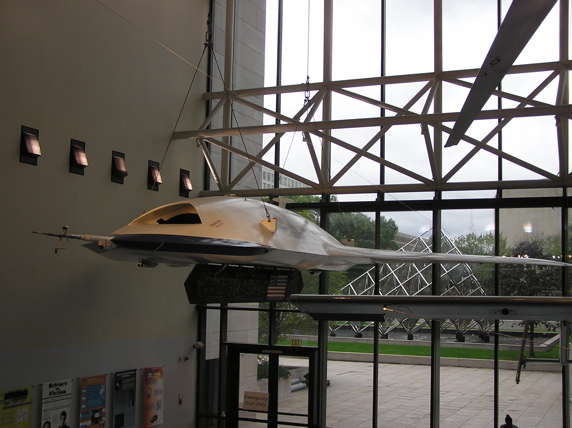 stealth robot planes: Smithsonian National Air and Space Museum in Washington, D.C.
People who claim to have been abducted by space aliens seem to invariably describe a very similar picture. Space aliens are described as having large heads, big eyes, gray skin, smooth features and small mouths. Psychologist Frederick Malmstrom, currently a visiting scholar at the U.S. Air Force Academy, believes that these 'visions' of space aliens are actually the image of the prototypical female face that is hardwired into every baby human's brain. When Malmstrom altered a picture of a woman in a way consistent with the characteristics of a newborn's vision (astigmatism and a shallow focal plane), the result looked very much like a big-eyed alien. These are the core elements of the modern UFO mythology, a story that has captivated farmers, princes and generals for generations, and shows no sign of loosening its grip on the popular imagination. 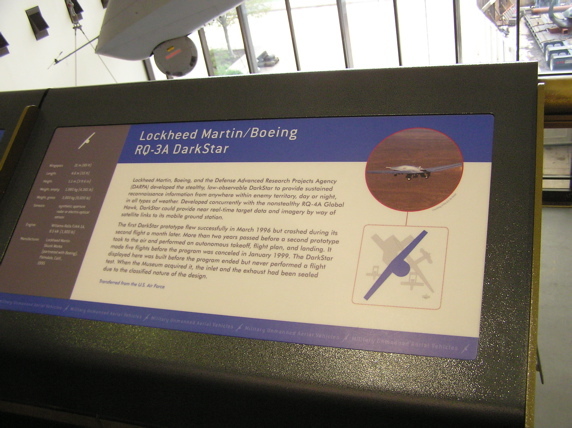 But what if, instead of covering up the UFO story, elements in the US military had actively encouraged it as part of their Cold War counterintelligence arsenal – manufacturing the myth of the UFO as a powerful weapon of mass deception and the perfect cover for all manner of clandestine technologies and operations. Now, for the first time, some of those whose actions have directly shaped the UFO mythology, and some of their victims, tell their stories, revealing a surreal disturbing and sometimes tragic sequence of events that is part Manchurian Candidate and part Close Encounters of the Third Kind. Mirage Men draws viewers into a saucer-shaped hall of mirrors, a shadow-world where every lie contains elements of the truth, and the truth is far stranger than the UFO believers, or their detractors, would have you believe. "This is an incredible story about deception and tomfoolery in high places. The filmmakers have uncovered a tale that tells us that everything we thought we knew about UFOs is wrong. And the truth - the true truth - is much more interesting." -- Jon Ronson, Author of The Psychopath Test, The Men Who Stare at Goats. "Really original in the story it tells... Mirage Men presents an astonishing new perspective on the UFO mythology, and opens up the much wider question of how we know what we know about the world outside... a brilliant piece of work." "Would we use perception to shroud what we're trying to protect? Absolutely. If you've got an aerial platform that's highly advanced and the public happens to get a glimpse of the thing from time to time, if they're convinced that it's from Venus, there's no way it could be our military, hey, that's awesome. And they're helping me cover something for years, I might even feed the fire." "These things may not be to cover up the truth about flying saucers, it may be more to gather information about the public response to manipulation." "It's the politicians and the journalists who are the target of all of this disinformation." "You don't see conferences on leprechauns, so why do we still have conferences on UFOs?" "Project Gasbuggy was an underground detonation that took place in 1967 in Dulce, New Mexico. It was an attempt to release natural gas reserves from the subterranean environment in an early version of what we now recognize as fracking. Some people have suggested that the cattle mutilation program was actually a covert monitoring program for assessing the radiation leakage levels into the environment, into the ecosystem and into the food chain." FARMINGTON >> For decades, strange lights in the night sky and mysterious cattle mutilations have led to rumors of a secret underground alien base near the small northern New Mexico town of Dulce, New Mexico, which is tribal headquarters of the Jicarilla Apache Nation. A new book entitled "Dulce Base, The Truth and Evidence from the Case Files of Gabe Valdez," purports to solve the mystery, and claims that humans, not aliens, are behind the strange happenings. The author is Greg Valdez, son of former New Mexico State Police officer Gabe Valdez. "In 1976, ranchers found lots of mutilated cows, and my father became one of the lead investigators into the mutilations," says Greg Valdez. Greg says his father began a decades-long investigation into a large number of the mutilations that occurred in northern New Mexico, and prior to his death in 2011, Gabe determined that the mutilations and strange aircraft were, in fact, human-caused. Gabe's investigation included pouring over recently declassified documents, and he concluded that, while there was no evidence that aliens were behind the mutilations, the Jicarilla Apache Nation was being used by the government to test environmental contamination caused by nuclear testing in the late 1960's. Greg says this contamination was caused by an experiment known as "Project Gasbuggy" that took place 21 miles southwest of Dulce on December 10, 1967. Gasbuggy's goal was to identify peaceful uses for nuclear explosions, and involved the detonation of a 29-kiloton device located 4,227 feet underground. The intent was to release pockets of natural gas that could be used commercially. Gasbuggy was carried out by the United States Atomic Energy Commission, the Lawrence Radiation Laboratory and the El Paso Natural Gas Company. While the device was successfully detonated and gas wells were drilled at the site, the gas ended up being too radioactive for commercial use. Greg said his father found out that the cattle mutilations were being conducted by the U.S. government in order to determine the effect of radiation resulting from Gasbuggy. "They were testing the cattle to avoid panicking the public," he said. 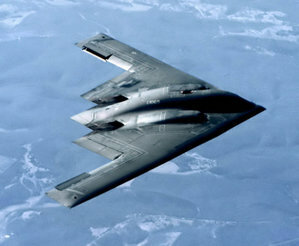 "They were also testing advanced aircraft from a nearby off-site air base. The aircraft was invisible and silent, and used optic camouflage. The technology has since been declassified." Valdez alleges that several government agencies and military entities such as the U.S. Air Force were heavily involved in this cover-up, and the CIA and NSA also became involved when Albuquerque businessman Paul Bennewitz discovered evidence of secret military projects occurring on Kirtland Air Force Base, which also had ties to Dulce. In order to protect the secrecy of their operations, Gabe learned that the government started a disinformation campaign and was encouraging rumors about UFOs and aliens being involved to deflect attention. By 1979, when the government realized Valdez had discovered the truth about who was behind the strange happenings, they began monitoring him; the family found hidden listening devices in their home. Aztec resident Brooks Marshall is a UFO enthusiast and local paranormal expert. Marshall has followed reports of the supposed Dulce underground base for years, and has attended many symposiums and lectures focusing on the issue. Marshall believes there is truth to a secret military presence centered around Dulce, but doesn't think government involvement comes close to explaining the cattle mutilations. "From early on, the mutilations indicated a technology that we just didn't have," he said. "There was a complete absence of blood, and the incisions looked like microsurgery and laser technology had been used - technology humans didn't have at the time. Plus, there were no tracks, and other animals - even predators - would avoid the carcasses, which also looked like they had been dropped from a very high distance. Many of the bones would be broken." Marshall said specific organs, like the tongue and reproductive organs, were removed from the cattle. The mutilations are still periodically occurring, and retain their same mystery, he said. From all of his research, Marshall concludes that there are two pieces to the Dulce mystery, one being the cattle mutilations, which he says remain unexplainable, and the government activity. "It's my opinion that there was an extremely large underground military base; there's evidence that there was strong military activity there. 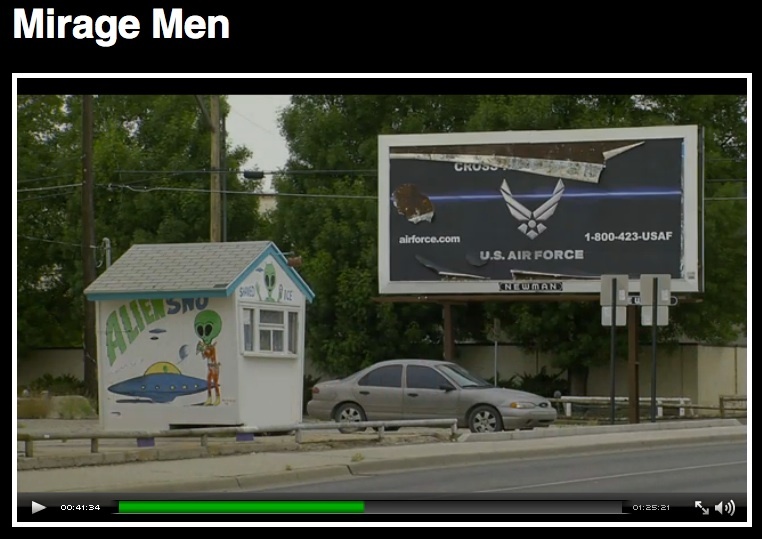 One theory is that this base housed aliens," he said. Marshall used to work for El Paso Natural Gas, and is very familiar with the Gasbuggy project as he worked with employees who were directly involved with it. While he does believe there have been some disinformation campaigns conducted by the military to deflect attention away from a possible underground base, he doesn't find credence in the theory that the cattle mutilations were the result of government tests for radioactive affects. "It doesn't make sense that the government would test cattle in that way," he said. "All they'd have to do to test radiation levels is to walk up to the cow with a Geiger counter." Leigh Black Irvin can be reached at 505-564-4610. "Dulce Base, The Truth and Evidence from the Case Files of Gabe Valdez," by author Greg Valdez, is available for purchase at dulcebasebook.com, ibookstore, and Amazon.com. Evidence from the investigation is available for free viewing at dulcebasebook.com. GCHQ power point showing how they train online covert operators to use psychological warfare tactics. Government Communications Headquarters is the British equivalent of NSA. fun fact: the first "saucer truth" group, which had NICAP as its acronym, had the first director of the CIA on its board (Admiral Hillenkoetter). Our tax dollars are hard at work. I have long contended that "UFO's" are really terrestrial craft, developed by Nazi scientists first in WWII, and used but kept secret by the US when they were brought here and to Canada to continue their work. I call them Unrecognized Fascist Observatories, and they are part of what I call hidden technology. William S. Burroughs said, "If this was the middle ages and Magellan was an American, and he discovered that the world was round not flat, we wouldn't tell anyone so we could attack from the rear." That's the mentality. Anyway, here is a list of unclassified (much more is not) DOD films of flying discs, including the Avrocar model. We are supposed to think they are either swamp gas reflections or men from Mars. When I studied the reports in the Pentagon library, though, they were coming in and out of military bases in most situations. Does this mean there is not intelligent life on other planets? I hope not, having found so little here. It just means that "flying saucers" are not evidence of their existence, and that "alien abductions" are not likely. After all, if you are smart enough to cross interstellar space to get here, wouldn't you be smart enough to turn around? Fascinated by stories of UFOs and alien beings, I studied the government reports like Bluebook, Grudge and Twinkle at that library, and the UFO World Report, a summary of all the sightings worldwide put out annually. I came away understanding these were terrestrial craft coming in and out of military bases, not from other planets, though it was a disappointment. 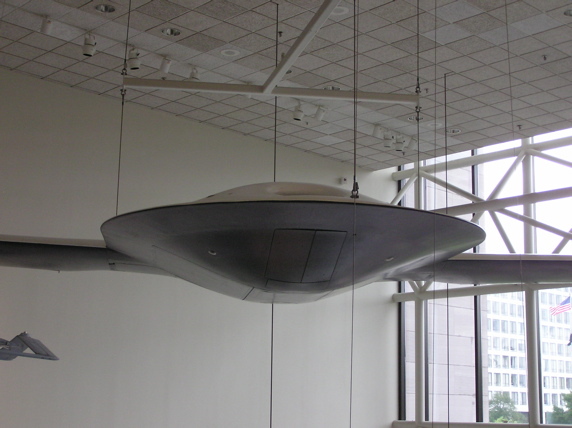 I eventually discovered that much of the talk about aliens and flying saucers was being generated by military intelligence groups seeking either public cohesion against a new enemy or public confusion about a covert technology that we controlled. Regular readers may recall that a while back I published a book, The UFO Phenomenon, which managed the not inconsiderable feat of offending both sides of the UFO controversy. It did so by the simple expedient of setting aside the folk mythology that’s been heaped up with equal enthusiasm by true believers in extraterrestrial visitation and true believers in today’s fashionable pseudoskeptical debunkery. After getting past that and a few other sources of confusion, I concluded that the most likely explanation for the phenomenon was that US military and intelligence agencies invented it out of whole cloth after the Second World War, as protective camouflage for an assortment of then-secret aerospace technologies. That wasn’t the conclusion I expected to reach when I began work on the project; I had several other hypotheses in mind, all of which had to be considerably modified as the research proceeded. It was just too hard not to notice the way that the typical UFO sightings reported in any given decade so closely mimicked whatever the US was testing in secret at any given time—silvery dots or spheres in the late 1940s, when high-altitude balloons were the latest thing in aerial reconnaissance; points or tiny blobs of light high in the air in the 1950s, when the U-2 was still top secret; a phantasmagoria of flying lights and things dropping from the sky in the 1960s, when the SR-71 and the first spy satellites entered service; black triangles in the 1980s, when the first stealth aircraft were being tested, and so on. An assortment of further evidence pointing the same way, not to mention the significant parallels between the UFO phenomenon and those inflatable tanks and nonexistent battalions that tricked the Germans into missing the real preparations for D-Day, were further icing on a saucer-shaped cake. To call that an unpopular suggestion is to understate the case considerably, though I’m pleased to say it didn’t greatly hurt sales of the book. In the years since The UFO Phenomenon saw print, though, there’s been a steady stream of declassified documents from US intelligence agencies admitting that, yes, a lot of so-called UFOs were perfectly identifiable if you happened to know what classified projects the US government had in the air just then. 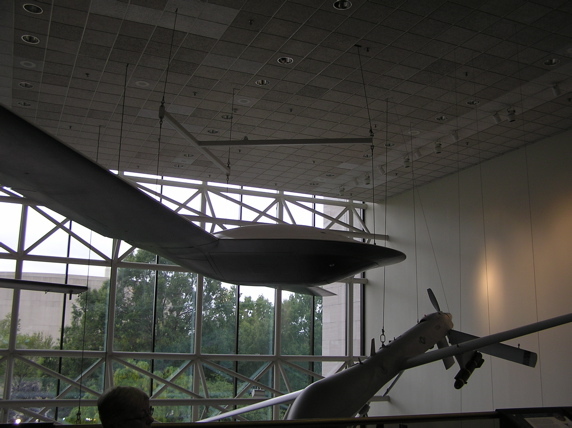 It turns out, for example, that roughly half the UFO sightings reported to the Air Force’s Project Blue Book between 1952 and 1969 were CIA spyplanes; the officers in charge of Blue Book used to call the CIA when sightings came in, and issue bogus “explanations” to provide cover for what was, at the time, a top secret intelligence project. I have no reason to think that the publication of The UFO Phenomenon had anything to do with the release of all this data, but it was certainly a welcome confirmation of my analysis. The most recent bit of confirmation hit the media a few weeks back. Connoisseurs of UFO history know that the Scandinavian countries went through a series of major “flaps”—periods in which many UFO sightings occured in a short time—in the 1950s and 1960s. 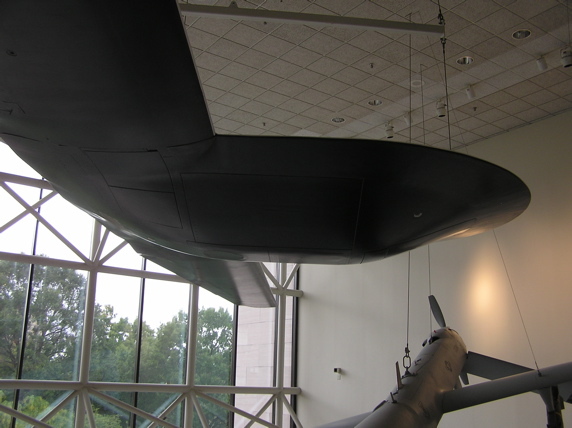 The latest round of declassified data confirmed that these were sightings of US spyplanes snooping on the Soviet Union. The disclosures didn’t happen to mention whether CIA assets also spread lurid accounts of flying saucer sightings and alien visitations to help muddy the waters. My hypothesis is that that’s what was going on all the way through the history of the UFO phenomenon: fake stories and, where necessary, faked sightings kept public attention fixated on a manufactured mythology of flying saucers from outer space, so that the signal of what was actually happening never made it through the noise. Many of my readers will already have guessed how the two sides of the UFO controversy responded to the disclosures just mentioned: by and large, they haven’t responded to them at all. Believers in the extraterrestrial origin of UFOs are still insisting at the top of their lungs that some day very soon, the US government will be forced to ‘fess up to the reality of alien visitation—yes, I field emails from such people regularly. Believers in the null hypothesis, the claim that all UFO sightings result from hoaxes, illusions, or misidentification of ordinary phenomena, are still rehashing the same old arguments when they haven’t gone off to play at being skeptical about something else. That’s understandable, as both sides have ended up with substantial amounts of egg on their face. Mind you, the believers in the extraterrestrial hypothesis were right about a great many more things than their rivals, and they deserve credit for that. They were right, for example, that people really were seeing unusual things in the skies; they were right that there was a coverup orchestrated by the US government, and that the Air Force was handing out explanations that it knew to be fake; they were even right in guessing that the Groom Lake airfield in Nevada, the legendary “Area 51,” was somehow central to the mystery—that was the main US spyplane testing and training base straight through the decades when the UFO mystery was at its peak. The one thing they got wrong was the real origin of the UFO phenomenon, but for them, unfortunately, that was the one thing that mattered. If Jimmy Carter had gotten all the way to the inner core of the UFO phenomena, he would know that a grand hoax had been devised to hide exotic technology from the public. 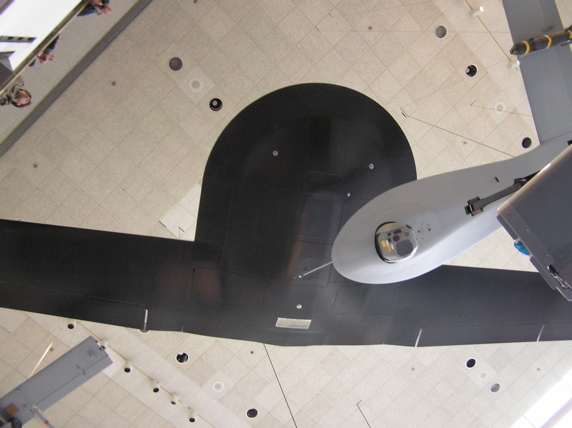 Yes, there are gravity-defeating craft, but, no, they are not manned by aliens. Victor Schauberger and the Horton Brothers get most of the credit for the birth of this technology. 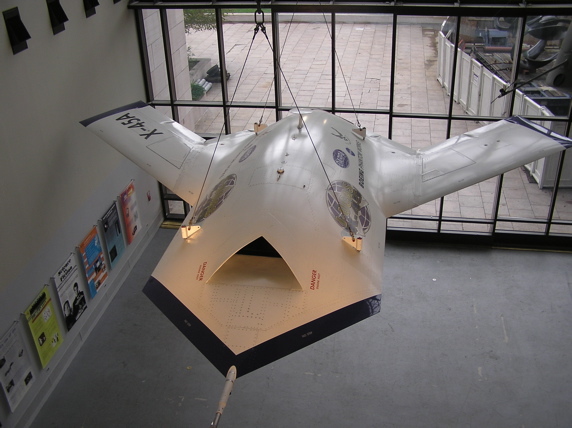 As for the present, see the Gruman TR-3B. One of the chief architects for the grand hoax was Laurance Rockefeller. He gave millions to the likes of Dr. John Mack, the Harvard alien abduction researcher, and other UFO research groups. But,I think the hoax goes beyond providing a cover for hidden technology, and the larger goal for Mr. Rockefeller was to create a new religion. His library, housed at the California Institute for Integral Studies in San Francisco, is a clearing house for occultic literature. A considerable amount of Rockefeller money has been pipelined to the New Age. The UFO psy-ops has given way to climate change as a means to herd us into a New World Order. Having out-lived their usefulness, UFOs are fading into the background of the cyberworld. The world has moved on without Laurance Rockefeller, and his ambitious plan to re-direct our spiritual leanings. Whether this is true or not (the "Hunt for Zero Point" book makes a similar conclusion), this claim has also been polluted by ridiculous nonsense from hoaxers. Neo-Nazi Ernst Zundel claims that the Nazis (original) developed flying disks and now have an Antarctic base to fly them from. www.nizkor.org/hweb/people/z/zundel-ernst/flying-saucers/ has links to this absurdity, which is entertaining from a psychiatric perspective. "Coast to Coast" UFO promoting show is part of the Clear Channel media conglomerate, which is owned in part by Mitt Romney's Bain Capital. In other words, super rich Republicans fund the biggest You Eff Owe disinformation program in the USA today. In 2012, Coast to Coast radio, a nationally broadcast AM "conspiracy" show, had on Jim DiEugenio, who is one of the very best JFK researchers - www.ctka.net is his site. He was discussing his book Destiny Betrayed. C2C sandwiched his appearance with a previously unknown alleged expert who claimed Madame Nhu, widow of the toppled leader of South Viet Nam, was really behind the assassination. No one else has ever suggested this absurdity and it seemed that it was done just to muddy the waters. There's no innocent explanation short of extreme stupidity of the type that would be so severe as to preclude the logistical competence of producing this program. Coast is part of the right wing media empire Clear Channel, and Mitt Romney's Bain Capital is one of the main investors in Clear Channel. It is not surprising that the right wing funds this disinfotainment show, a mix of some true things with a lot of nonsense. It's sad there's not a national radio show that only puts on good voices like DiEugenio without enveloping good information with blatant nonsense. But shows that fact check don't get funded by Clear Channel.